Christmas Lights on your Roof - Good Idea? Bad Idea? To put Christmas lights on your roof: is it a good idea? Is it a bad idea? Every year at this time of year my wife makes the whole family watch that classic comedy “National Lampoon’s Christmas Vacation”, where Chevy Chase takes everything to excess. I am not sure if she wants us to model our lives around the Griswold’s or if we already resemble them too much and she makes us watch it to lighten up a bit. Whatever her reasons once it has been played it seems to be my cue to get out and put up the lights around the house and the yard, and the more the merrier. It’s like I’m being judged against how many lights Chevy Chase got on his roof! All fun aside, putting Christmas lights actually onto your roof can cause serious damage to the shingles.In “Christmas Vacation” Chevy Chase puts them up with a staple gun. 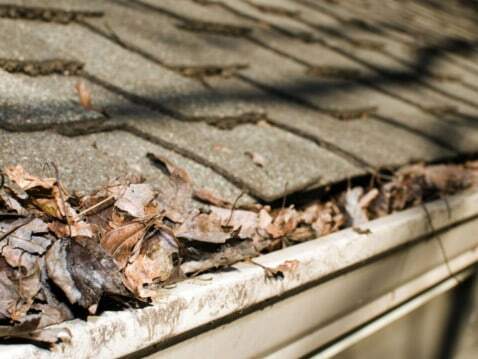 Putting staples into asphalt or fiberglass laminate shingles is not a good idea. I don’t think I have to tell you shingles don’t work very well with holes in them. Putting small staples into thick cedar shingles is not quite as bad but it still is not good for your roof. With cedar shingles, as with any roof actually, it’s not good to be walking on them. It’s easy to crack cedar shingles, especially when they are older, just by walking on them. On asphalt or fiberglass shingles the granules that protect the waterproof layer from the sun will get worn off by walking on them. The less anyone walks on a roof, the better. If you do have to walk on your roof for any reason, try to place your foot in the center off each shingle and not on the lower edge of the shingles where they overlap. This helps protect the shingles from damage and wear. According to a recent CBC report, 5,800 people fall off roofs each year putting up their Christmas lights. A roof is a dangerous place to be at any time of year but with the rain, frost and ice, during winter your roof is more like the in-run to a ski jump! Professional roofers know how serious a fall from a roof can be so they are always roped. The WCB rates for roofing in general are high because when someone does fall from a roof it’s usually a very serious accident. I’m all for Christmas lights and holiday cheer but in order to stay dry and in one piece, keep the lights off your roof. Previous PostRe-roof or Repair in Vancouver Winters?